Hello Jeff, I always read your articles in Pacific Yachting magazine. I live in Bellingham and cruise the BC central and north coasts each summer. Cell phone coverage stops at about Port Hardy and by Cape Caution, there's nothing, even with the Wilson cell booster I have that normally adds at least one bar. I've been considering a DeLorme inReach device to use with my Android smart phone. 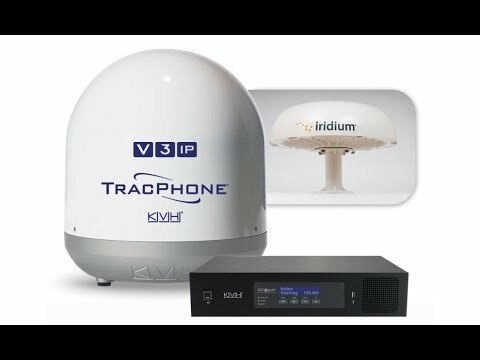 inReach uses the Iridium satellite system which seems to be the best system for the mountainous terrain along the coast - no southern 'window' required. The prices for Globalstar phones, though, have come down a lot. What phone or system are you recommending to your customers these days? Interestingly one of our feature products is the DeLorme inReach device. Communication is very limited to small amounts of text only, but two-way communication via satellite is hard to beat at that price point. In terms of satellite phones, some of our clients opt for the KVH FB150 or the KVH V3. Hardware and usage costs need to be weighed against the benefits. In my opinion, the inReach is the perfect balance of cost and functionality, as it allows for critical, and concise information, to be sent back and forth. The KVH options are more for boaters who still need to run their business while away from Wi-Fi or cell coverage. How Do I Test My Satellite Phone? Grand Banks 48 Europa - "Grande Adventure"
"PYS earned our trust right off the bat. When you talk to…"